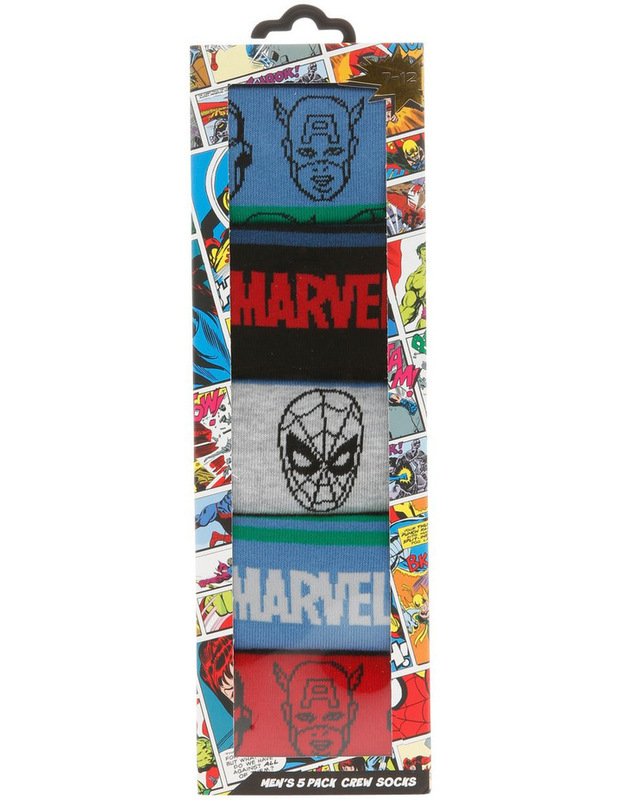 A great choice for everyday wear, these Marvel 5pk socks, will be a favourite of any superhero fan. 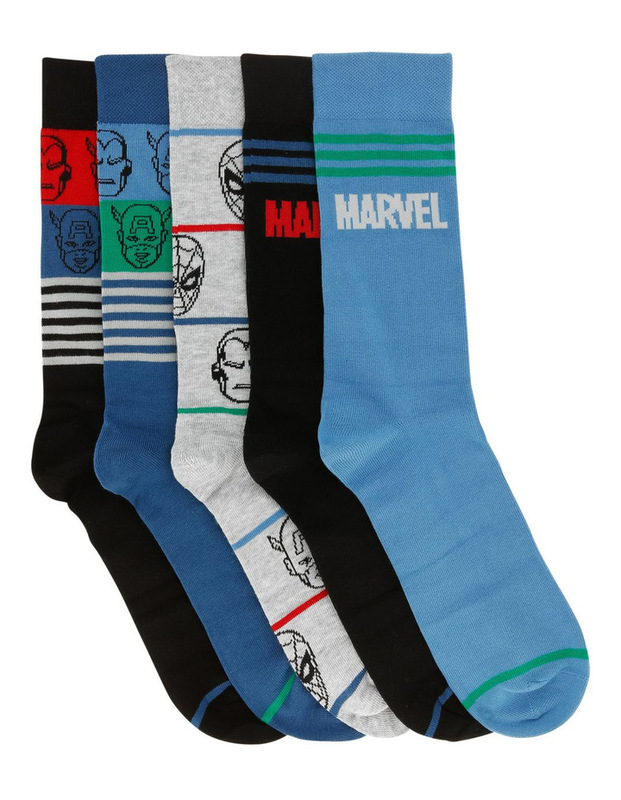 Made from a comfy knit these socks will make your feet feel great all day, a great gift idea. Made from cotton/nylon and elastane.